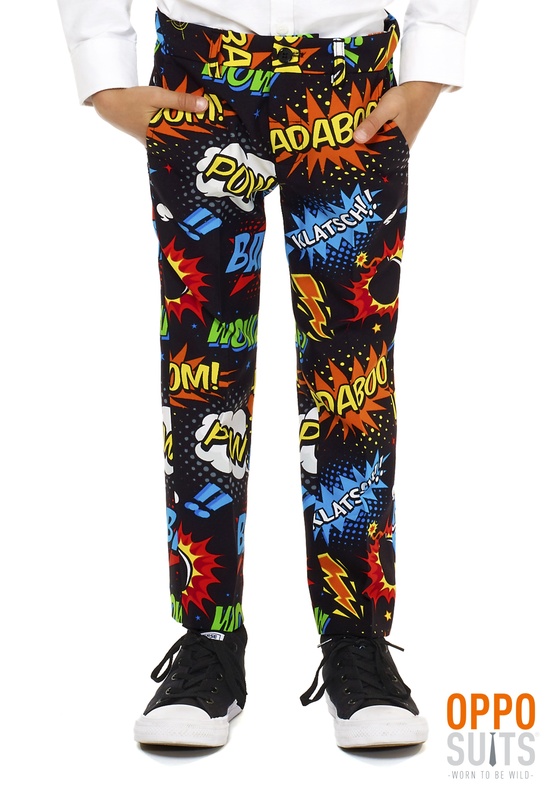 4T - $104.99 Only 5 left! Size 6 - $104.99 Only 7 left! 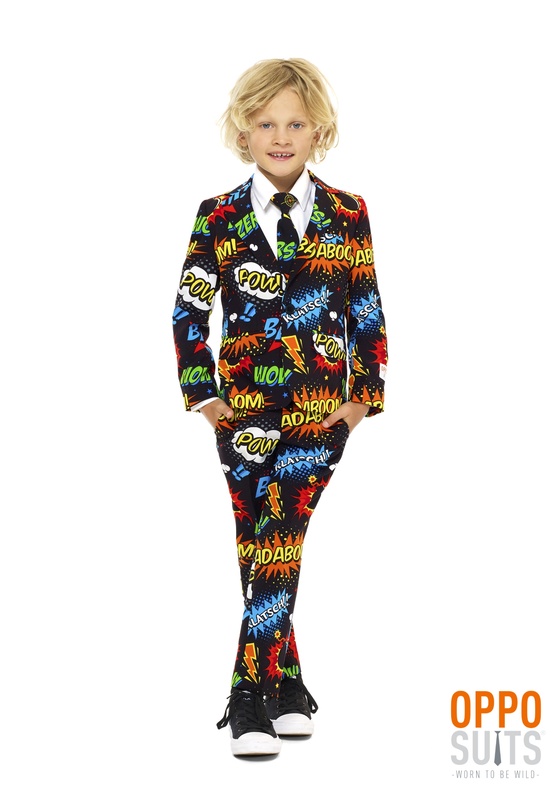 At what point in time does a boy become a man? Is it when he gets his driver’s permit? Is it when he has his first kiss? Maybe it’s when he can finally grow a mustache! Or maybe, it’s when he wears his first suit! 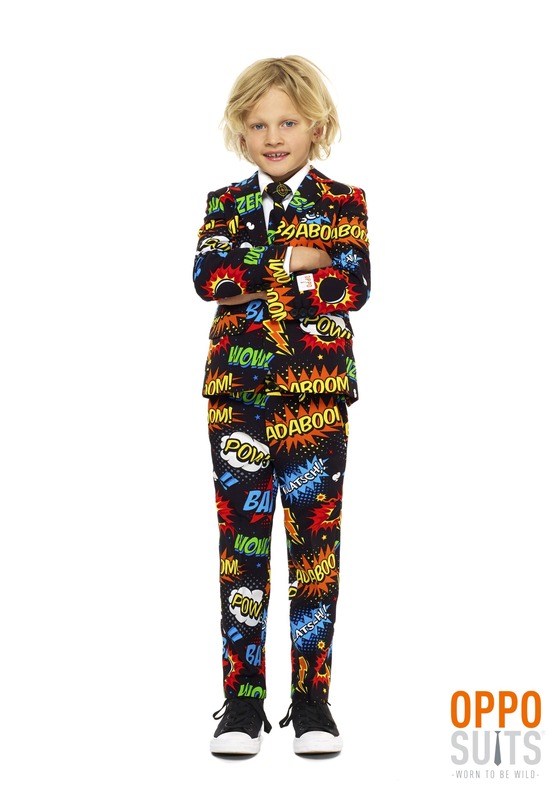 It’s hard to imagine your little one growing up, wearing his first suit like a tiny little man. Why, it seemed like just yesterday that he was just a little babe and now he’ll be wearing a tie? It’s a trip, but maybe there’s a way for you to slow that roll from kid to adult. Maybe, just maybe, there’s a way to keep your kid from becoming a full adult for just a little longer. Well, we’re here to tell you that there is a way! 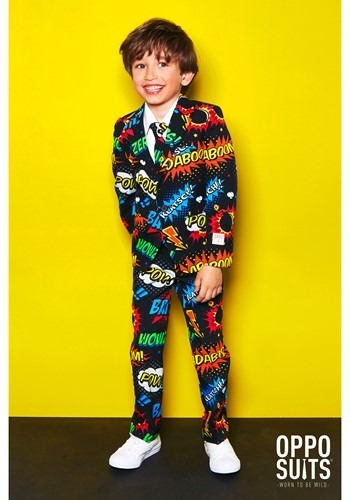 When your child puts this colorful suit on, he’ll be taking a tiny step towards the long path to manhood, while still keeping one little foot firmly planted in childhood. 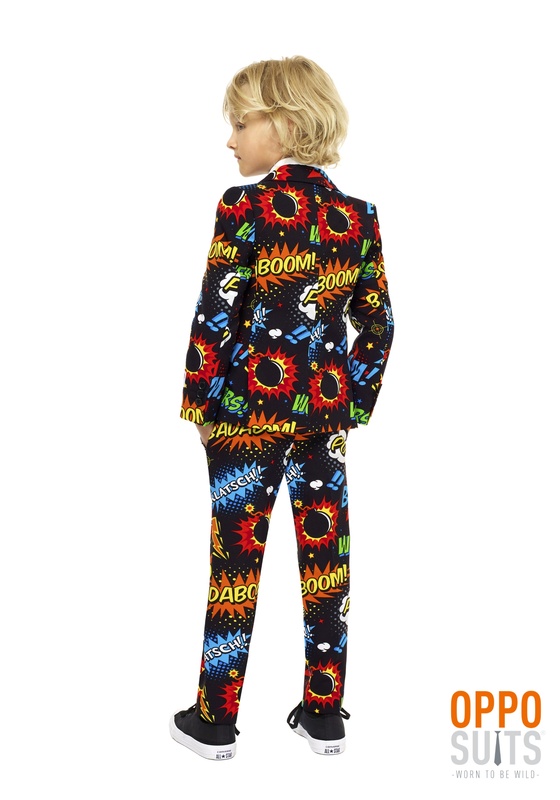 He’ll also get to express his love for comic books and he’ll get to look like one handsome little stud.